About 10 years into my psychology career, I noticed a curious pattern beginning to emerge among my patients. I began to realize that many, most of whom seemed to have little in common with each other, were reporting the same group of ambiguous struggles: feelings of emptiness or numbness, a sense of being disconnected and alone, a secret feeling of being deeply flawed in some way, and a general lack of fulfillment. I saw this pattern in so many people that I began to wonder what was causing it. Could it be that they were all abused in the same way, or shared a common type of childhood trauma? Could it be something in their current lives that was making them feel this way? In searching to understand this intriguing pattern, I finally was able to identify the one thing these patients all shared in common, and I was surprised. It wasn’t abuse or trauma, or anything that had happened to them. The single thing these folks all shared in common was a childhood characterized by a lack of response to, and validation of, their emotions. It was nothing their parents had done to them. It was instead what their parents had failed to do for them. It wasn’t their parents’ act, but their failure to act. Not abuse, not mistreatment. Just nothing. When these folks were sad, hurt, scared or angry as children, no one noticed. No one asked them what was wrong, or stepped in to validate what they were feeling, reassure them, guide them, or teach them about emotions. Their parents may have responded sometimes, in certain situations, but it simply was not enough. The one factor these folks had in common was the fact that they had all grown up in an emotional wasteland, surrounded by people who perhaps loved and cared about them, but who failed to notice or respond enough to their emotional needs. As adults, they were all running on empty. I gave this childhood experience the name Childhood Emotional Neglect, or CEN. It took me several years to begin to understand the breadth and depth of this problem. The more aware I became of CEN, the more I saw it, not only among my patients, but everywhere. I also gradually became aware that in my growing realization of Childhood Emotional Neglect, I was alone. This made me even more curious. Why didn’t I hear other therapists talking specifically about what had failed to happen for their clients in childhood? Why hadn’t I seen this concept in research studies or articles? I began to search the vast databases of the American Psychological Association. Journals, books, articles and research studies alike; and what I found was very interesting. When the term “emotional neglect” was used in the professional literature (which was remarkably seldom), it was invariably used in this way: “emotional abuse and neglect.” By lumping these two very different childhood experiences together, these articles were virtually always talking about emotional abuse, which is active mistreatment of a child — a very different thing from the form of emotional neglect that I was so concerned about. Indeed, emotional neglect was falling through the cracks. Just like the children who lived with it, it resided under the radar. Thus began my 7-year odyssey, trying to call attention to this under-recognized, under-talked-about, under-studied, yet powerful childhood experience. I began to write, and talk. And write and talk some more. 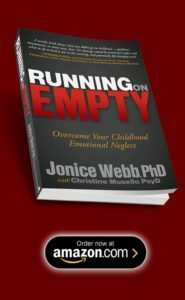 In 2012, I published my first book, Running on Empty: Overcome Your Childhood Emotional Neglect. In this book, I introduced the acronym CEN, and outlined my observations of why it’s so unmemorable and invisible, as well as walked readers through the steps needed for recovery. In 2014, I began the Childhood Emotional Neglect blog on Psychcentral. As people read about this concept, they resonated deeply with it. Thousands who had lived their entire lives feeling deeply, inexplicably un-validated finally felt validated when they took the CEN Questionnaire, or read about CEN. 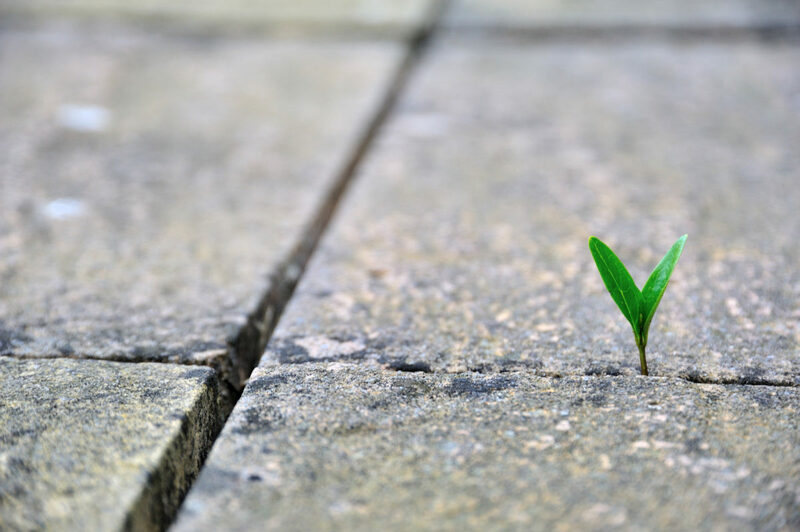 As I reached more and more people with the CEN message, requests flowed in for referrals to therapists worldwide who knew how to help people through the steps of CEN recovery. There was a terrible shortage, and I knew then that I needed to do more. So I did two things. In 2015, after fine-tuning the powerful steps to heal CEN by treating a myriad of CEN clients in my office, I created the first online Childhood Emotional Neglect Recovery Program, Fuel Up For Life. The program is designed to walk participants through the 4 stages of CEN recovery with guidance, homework, videos, and plenty of support. The response has been tremendous, and the demand for slots in the program continues to grow and grow. In 2016, I did a Continuing Education training for therapists about how to identify and treat CEN in their patients, and began to create an international list of CEN-savvy therapists on my website. That list has grown to 200 strong, and continues to build. On Nov. 7, 2017 my second book was released. 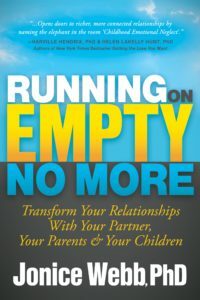 In response to the thousands of people asking how to manage and heal CEN in their relationships, I wrote Running On Empty No More: Transform Your Relationships With Your Partner, Your Parents & Your Children. Now, at the end of 2017, I see many other writers, therapists and authors using the words “Emotional Neglect” and talking about empty feelings, validation, the importance of getting in touch with your emotions. I am so very pleased that the word is spreading, and that people are finally talking and thinking and writing about this long-overlooked cloud that has been coloring so many lives gray. What will 2018 hold? I want to continue to give answers to the thousands, or millions, of people who are secretly feeling flawed. I want to train more therapists and reach more and more people with this valuable message. I want parents to realize the awesome power that lies in emotionally attending to and responding to their children’s emotions. In 2018 and beyond I will relentlessly continue this work. I will not stop until most therapists are familiar with this concept, and know how to treat it. I will not stop until “Childhood Emotional Neglect” is a household term. 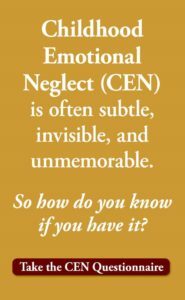 Childhood Emotional Neglect (CEN) can be subtle and invisible when it happens, so it may be difficult to know if you have it. I invite you to Take The Childhood Emotional Neglect Questionnaire. It’s free.